The chaff produces the grain! You see, chaff’s one of those things in the bible most of us don’t know a whole lot about from firsthand experience! We hear about it, every now and again, but it’s not, really, one of those things we’ve ever seen or touched. Chaff is kinda like sheep and shepherds. As church, we lie down in green pastures. We’re led beside still waters. We’re comforted by rod and staff. But none of us can remember the last time we saw either up close and personal. Shepherd or sheep. Chaff’s the same way. I grew up in the suburbs of a medium-sized town in Western PA. And the only thing I knew about chaff was what I learned here, in church. And like most everyone else, I thought chaff and grain were two, mutually exclusive things. Chaff the yin to wheat’s yang. The bad to grain’s good. One, apparently, would be saved; the other destroyed forever. And the whole time, we knew it was a metaphor for people. Some were worth god’s time and trouble; others not. And, I guess, if you didn’t think about it all that much, it made a sort of sense. If you didn’t think about it or didn’t know that much about chaff. But, if you spend any amount of time mulling it over, ruminating on it or knew anything – anything, at all – about chaff, well, the metaphor was unclear, confusing. Granted, we human beings don’t eat – can’t eat – chaff. It’s indigestible for us. But you can feed it to the animals – especially in desert areas, like this, like Palestine – where forage is limited. And you can toss it back into the fields, as compost to enrich the soil. And, of course, some can, indeed, be burned. Not because it’s worthless; but because firewood is scarce. Chaff is useful! Chaff’s important! Chaff’s, even, essential. But John never talks about that. “But the chaff he will burn with unquenchable fire” he says. But if there’s one thing from my extensive career as a wheat farmer that’s stood out, it’s that without chaff, there would be no grain! Without chaff, there would be no grain! Chaff isn’t the “anti-grain!” It’s not wheat’s equal and opposite! Chaff’s, simply, what’s left of the plant after the grain’s gone! It’s what’s left of the plant that created the wheat, to begin with! It’s the hulls and the husks! It’s the pods and the shells! The leaves and the stems and all the rest! Chaff isn’t the rubbish and the refuse! 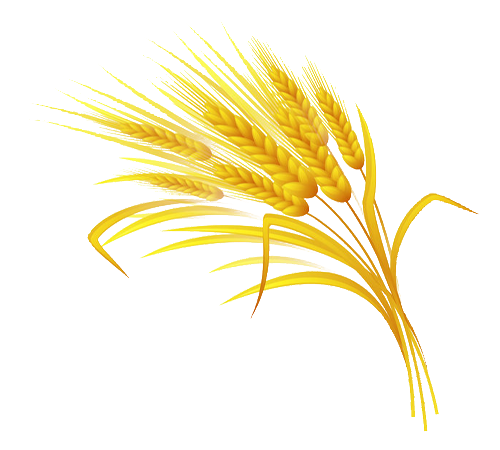 Chaff’s the very reason – the only reason – there’s grain, in the first place! And it’s due more respect than just being thrown into the fire! Into unquenchable fire! It’s the chaff that conceived the grain! The chaff that nourished it! Sheltered it! Protected it! It’s the chaff that held it close until that seed was ready for planting! The sole reason there’s chaff, at all, is to provide the seed the time it needs to become seed! When it falls into the earth and dies and bears much fruit! Actually, it’s not so much the seed that dies, as it is the chaff. Giving itself for the sake of the seed. Enabling the seed to produce more plants. Some a hundred-fold. Sone sixty. Some thirty. And it’s all important! It all matters! Plant and seed! Grain and chaff! And the more I thought about it, that’s what this weekend’s all about. Seed, finally, becoming seed! Grain becoming grain! Wheat becoming wheat! And the plant? The plant letting go and falling away! The end of May, Midland Chin Immanuel Church asked if we might consider selling them this place. Mid-August, we did just that. Voted to consider. Three months later, on the First Sunday of Advent, after “prayerful consideration” as the phrase goes, we said, “Yes!” Two days ago, Friday afternoon, on our behalf, Fred Behnken signed the papers. And after six-and-a-half decades of providing for us and protecting us and preserving us, this building now “belongs” to another. This plant that conceived us… This plant that birthed us… this plant that has given us life… It’s become not chaff, but another home, a new home for another congregation! It will shelter other worship services, other sunday school classes. And it will continue to produce seeds. As church, our life has been rooted in this place. This place has kept us safe. But as long as the seed remains a part of the plant, as long as the life of the plant is more important than the seed… Well, that’s not what god intended. Not at the tabernacle in the wilderness. Not at the Temple in Jerusalem. Not in the cathedrals or basilicas across the ages. God has always meant for plants to produce seeds, and for seeds to produce more plants. Seed exists for one reason. Not to be gathered into granaries. Not even to become bread. Seed exists to be scattered and sown! And the chaff? The chaff – far from being an end in and of itself – has never been more than a means. This place was sold not because we failed. It was sold not because we were no longer able. It was sold because our time has come, at last! Our time to fall into the earth and bear much fruit! Sixty-five years of waiting! Sixty-five years of getting ready! All for this moment! We thought it was about an address! We thought it was about a piece of ground and a pile of bricks! But the time has come. Your time! Your season! Scary? Of course! Uncertain? Naturally! But that’s the way it always is for the seed! When it falls from the flower! When it’s thrown into the world! Threats! Dangers! There are birds. Rocky ground. Thorns. But there’s, also, the harvest! When we bring forth! When god brings forth through us! My friends, this isn’t the end. This isn’t going backwards. Far from it! This is when your life begins! This is your time! To sprout! To grow! To bear much! This is why you’re here! This is what you were meant to do! And this! This is who you were meant to become!